The Alpha League Federal Agency’s sworn duty is to protect humanity from the worst of the paranormal universe. Wolf-shifter Agent Bryon Day has been deep undercover for more than a year, investigating a human trafficking ring, when he goes MIA. Since A.L.FA. never leaves an agent behind, a team is sent to save him—or bring his body home. Look at this of amazing authors set to release in the latest round of Paranormal Dating Agency! All books are free with Kindle Unlimited. Sage Primrose dreams of the day she meets the man who will sweep her off her feet. She didn’t expect him to abduct her while she wore nothing but a towel. Why did bad men have to look oh, so good? 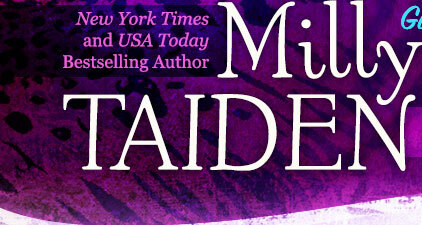 Feral Kincaid will do anything to protect his family. When a human female supposedly kidnaps his niece, he goes to get her, claws blazing. But the abductor turns into the abductee and suddenly he has to figure out how to apologize to the one woman he needs to forgive him: his mate. This tiger isn’t used to romance in his life; he’s too busy protecting his pride from a rival determined to take his land. But Feral would gladly take on bad guys instead of trying to figure out how to romance a human female. Sage needs to watch out. Feral is hellbent on romance and his target is her.